Depending on where your drinking water comes from, it may contain many different contaminants; some we may know about some we may not know about. In today’s world we use so many different chemicals, pesticides, herbicides, fertilizers, etc. These contaminants end up in our groundwater, rivers, lakes and wells and can cause harmful effects in human consumption. Frequently, when these chemicals are mixed together they create new, unknown chemicals. In most cases tests have not yet been developed to determine which chemicals are in your water ,and equally important, what the levels of contaminants are. Some of the obvious contaminants in city water are Chlorine and Fluoride, both of which have been proven to have serious health effects over a period of time. This past week the news has reported serious health effects from the drinking water in Flint, Michigan. After the city switched their water supply from the Great lakes to a local river, it was determined that this river water was acidic and extremely corrosive to the old distribution piping system. Much of the piping system contained lead from the manufacturing process and as a result of the acidic water flowing through this pipe, lead was leached into the drinking water in very high levels, many times higher than allowed through the Drinking Water Guidelines. Lead has serious health effects on humans and is especially harmful for pregnant women and young children. The best technology available today is Reverse Osmosis Filtering. These systems are designed to reduce Chlorine, Fluoride, lead and many, other contaminants. Lead can also be reduced with a good quality Carbon Block Filter, the same filter also reduces Chlorine taste and odor. 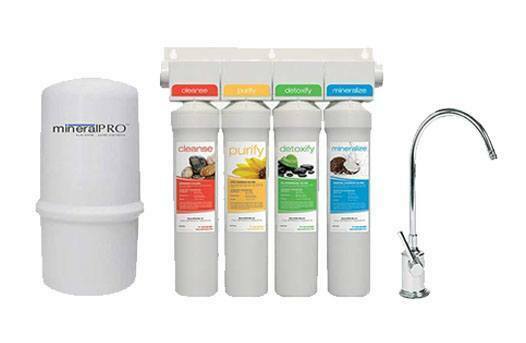 The Mineral Pro Reverse Osmosis (RO) system starts with a high quality 5 Micron Sediment Filter to reduce particles from the water such as rust, sediment, debris, etc. Next is a high quality 5 Micron Carbon Block filter which reduces the Chlorine, Lead, and many chemicals. The third filter is the RO Membrane, the heart of the RO system. This reduces chemical contaminants and Fluoride. It is important to note that not all membranes are created equal with regard to contaminant removal. Mineral Pro uses a very high quality RO Membrane and has been tested by NSF to have one of the highest contaminant removal rate of all RO systems. 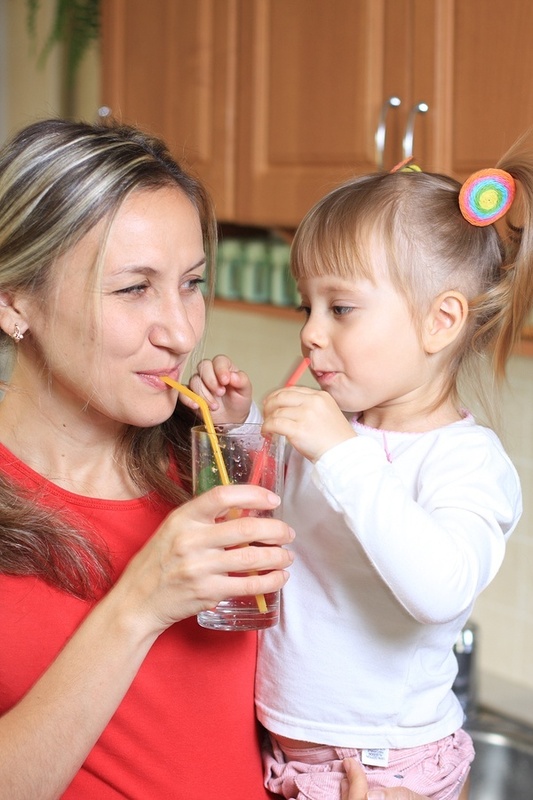 This is critical to ensure you are getting the safest, cleanest water for your family! Regrettably the RO membrane also removes good minerals from the water in the filtering process, resulting in the water being acidic and void of the healthy minerals our bodies need, and dead flat tasting water. Putting back in what is good for you! The Mineral Pro RO System is unique in that our last stage re-mineralises the water with natural, healthy minerals such as Calcium, Potassium, Magnesium and other trace minerals. The end result is not only healthy, contaminant free water, but the best tasting Mineral Alkaline water you can get! When the minerals are absorbed into the water the PH level increases, resulting in a great tasting, Alkaline water. Why is this important? The obvious point being that when the water tastes great, most people drink more, which is a far healthier choice compared to coffee, sodas and sugar laced fruit juices. Simply put, Mineral Alkaline water is a much better water for drinking than mineral deficient, acidic water. The final component in our last stage of filtering is a carbon made from Coconut husks, the purest carbon available. This puts a final polish on the water, enhancing the final taste! A further benefit of the Mineral Pro system is that the pure water, after going through the RO membrane is stored in a food grade plastic tank. When you open the RO faucet, the water flows through our last stage (the polishing filter) and up to your faucet. By having the water flow through the last cartridge on its way to your glass or pot, ensures the water will always taste fresh; never stale from sitting around, resulting in a guaranteed fresh, mountain spring taste! Apart from all the health benefits, this is what people enjoy most about our water, they love the taste of our water!! It seems every night in the news some new problem is announced with a city or town water supply. No matter if its caused by flooding, an industrial spill, agricultural run off, lead pipes or a simple accident, its nice to know that the water you get direct from your kitchen tap is safe. No boiling, bad taste or unknown chemicals to concern yourself with. All that peace of mind when things are not so clear about your municipal water supply PLUS the enjoyment of the best tasting water you can imagine and all the health benefits of healthy water.